- Finally! The long-awaited sequel to the best-selling puzzle game for young learners! - Top 1 Paid educational ranking in the UK, Top 10 Paid in Australia and Spain, Top 20 iPad Paid in Japan, France, Singapore, New Zealand and more. 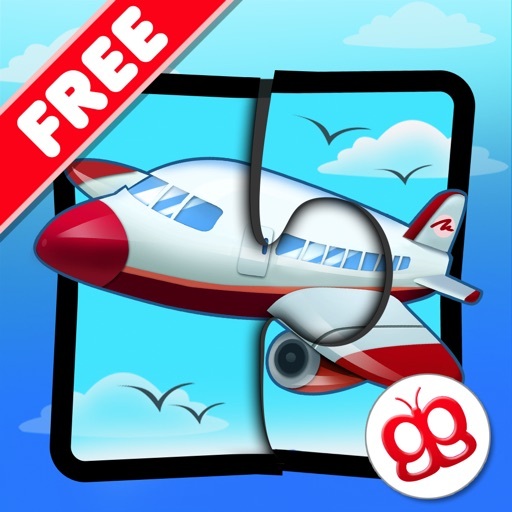 - Play Transport Jigsaw Puzzles 123 in more languages! Have fun learning new words in different languages including: English, French, Spanish, Japanese, German, Swedish, Chinese Mandarin, Norwegian, Russian, Danish, Portuguese, Korean, Dutch and Italian. 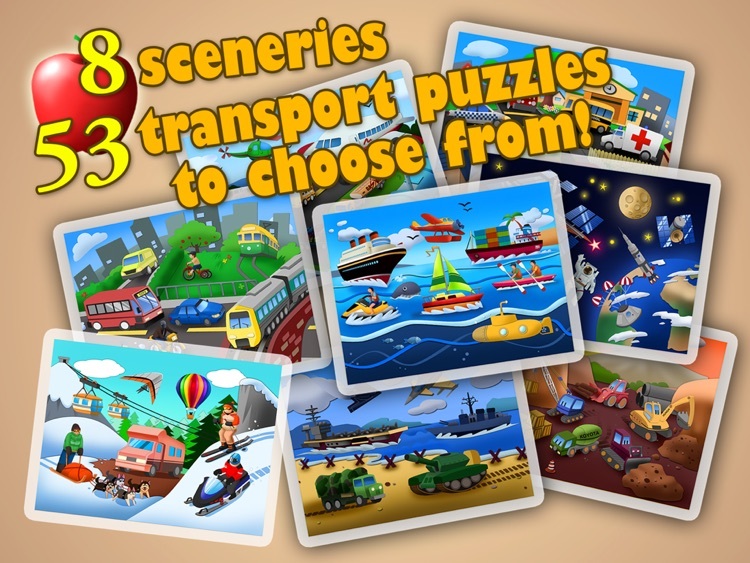 + 53 everyday transport jigsaw puzzles in 8 different sceneries, all in brilliant and colorful graphics. 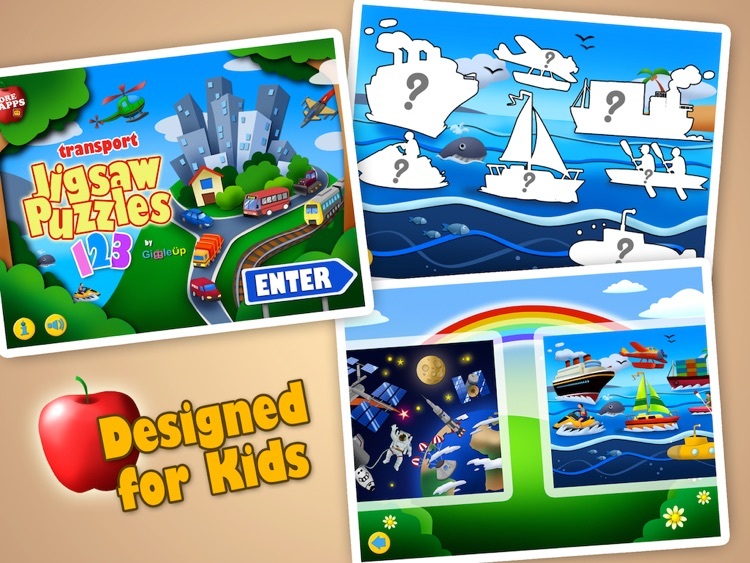 + With 5 difficulty levels to choose from, this educational game will never get old! + A fun way for young children to develop logical thinking and learn simple words. 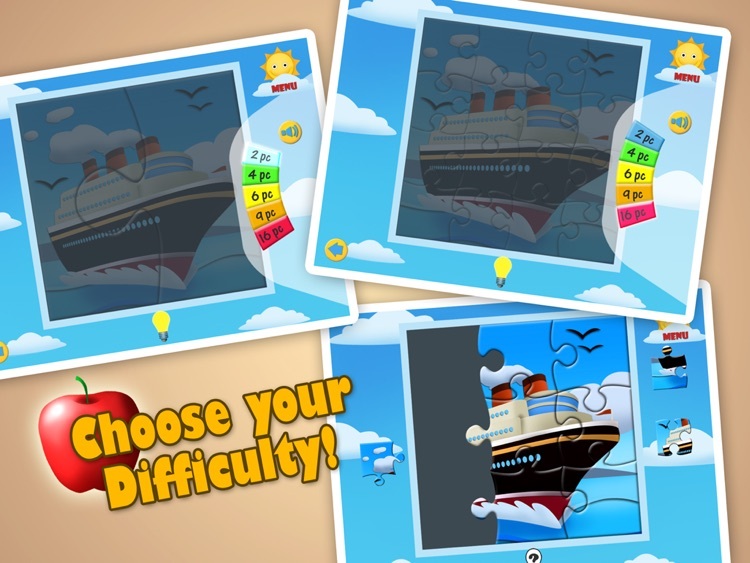 + Animation and encouraging feedback makes solving puzzles an enjoyable and rewarding experience. 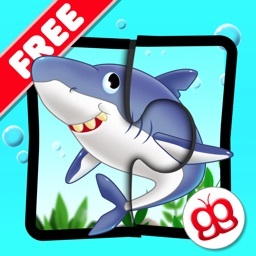 This fun and education app was developed to suit the tastes and learning abilities of young children from ages 1 to 6. Start with simple 2-piece puzzles (great for the little ones!) 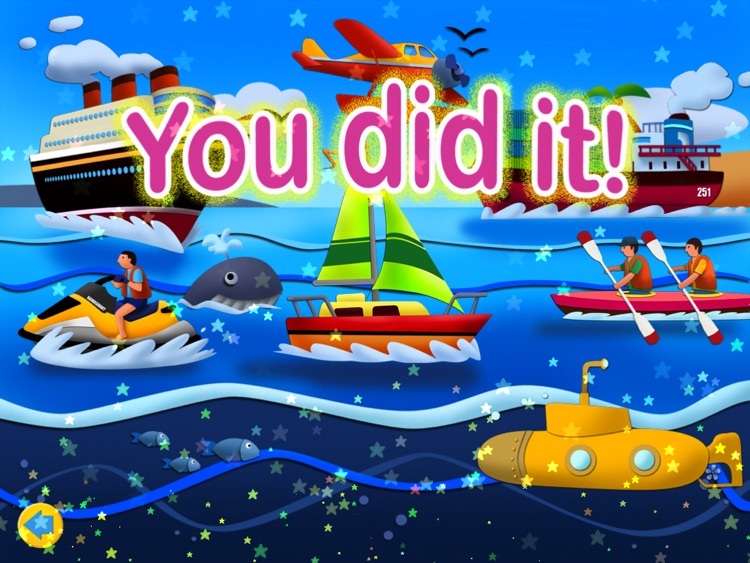 and gradually move up the levels to master the 16-piece puzzles. When one puzzle is completed, the name of the transport vehicle will be spelled on the screen and read out loud. Watch the entire scene come to life with color when all the puzzles are completed. 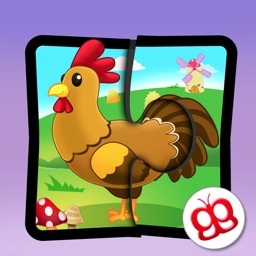 Cute pictures and playful animations are sure to make this puzzle game a favourite pastime for kids. - 53 unique puzzles to be solved. - 5 difficulty levels, ranging from 2-piece puzzles to 16-piece puzzles. 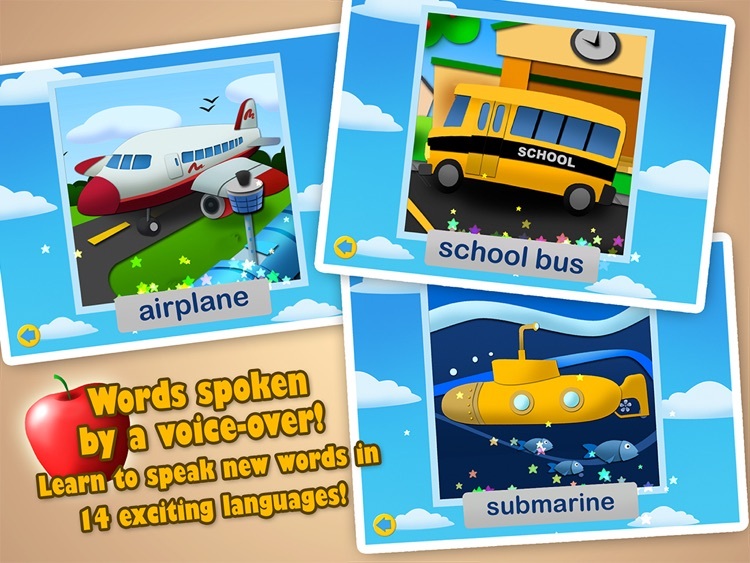 - Easy to use interface specifically designed for young children. - Light and cheerful music. - Interactive animation for even more fun. - A hint on/off feature to provide optional assistance. - ...more scenes and puzzles coming soon to new versions. 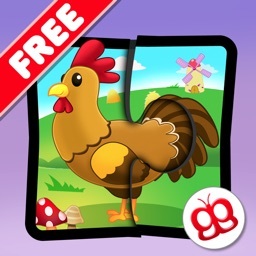 Transport Jigsaw Puzzles 123 is a sequel to the best selling Farm Jigsaw Puzzles 123, also available on the iTunes app store.